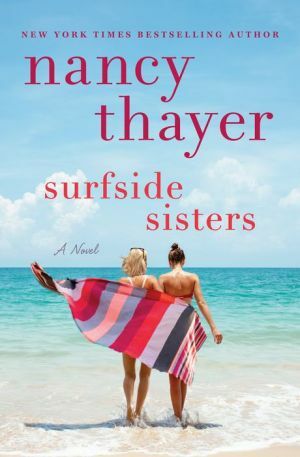 A Nantucket woman returns home to find that reunions aren’t always simple, in this heartwarming novel from the New York Times bestselling author of A Nantucket Wedding and Secrets in Summer. Keely Green always dreamed of leaving the beautiful shores of Nantucket to become a writer. Now she’s a bestselling novelist living in New York City, attending glamorous cocktail parties and mingling with the literary elite. Keely is also dating a charming, perfectly fine pediatric surgeon who looks good on paper but isn’t “the one.” She just can’t bear to break it off—until he declares his desire to settle down. Then Keely’s editor rejects her latest novel. With her personal and professional lives suddenly in shambles, Keely longs for the soothing island way of life. Growing up, Keely and her best friend, Isabelle, were inseparable. Nothing could come between them—except, as it turned out, Keely’s high school boyfriend, Tommy. Returning home would mean facing Isabelle’s bitter betrayal and seeing for herself the family Tommy and Isabelle have created, the life that might have been Keely’s. But when Keely’s mother falls into a deep depression, Keely knows what she must do, even though she is reluctant to face her estranged friend. And encountering Isabelle’s older brother, Sebastian—Keely’s longtime crush—only complicates things. In one incredible summer, Keely must confront the mistakes of the past if she has any chance of finding true happiness in the place she will always call home. Nancy Thayer shines yet again in this uplifting tale of forgiveness and self-discovery.